The Wisconsin Society for Ornithology sponsors several grants to support ornithological research by students and professionals, promote the study of birds by youth, enhance our knowledge of Wisconsin wetlands, and implement shorebird management activities. WSO has awarded more than 50 grants over the last 5 years. This grant funds a variety of bird projects by beginners, amateurs, and independent researchers. 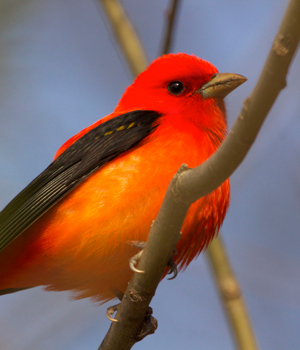 Graduate students and professionals in ornithology may apply for personal projects only. Grant amounts of up to $500 will be awarded for each project. Grant money may be used towards travel expenses related to fieldwork, supplies, and equipment; more costly equipment will be funded if ultimate ownership resides with a professional organization or institution. Applicants must be Wisconsin residents and projects must be based in Wisconsin. October 1 – Summary report due that includes a short description of the work accomplished and how the funds were spent. This grant was established through a 1993 bequest from the Nelson family. It funds ornithological research involving wetland communities in Wisconsin. Grant amounts of up to $500 will be awarded for each project. Grant money may be used towards travel expenses related to fieldwork, supplies, and equipment; more costly equipment will be funded if ultimate ownership resides with a professional organization or institution. We request that winners of this award publish their research findings in the Passenger Pigeon. This grant provides additional support for ornithological research projects partially funded by professional institutions, such as universities and museums. Grant amounts of up to $500 will be awarded for each project. Grant money may be used towards travel expenses related to fieldwork, supplies, and equipment; more costly equipment will be funded if ultimate ownership resides with a professional organization or institution. We request that winners of this award publish their research findings in the Passenger Pigeon. WSO recognizes the importance of fostering an appreciation of birds amongst Wisconsin’s youth. This grant may be used towards youth projects pertaining to bird research or bird education. Grant amounts of up to $250 will be awarded to selected projects. It is encouraged that the child plans, writes, and submits his/her own grant request, although we recognize that a younger child will require assistance. We request that winners of this award submit a summary report upon completion of the project. Applicants must be students or teachers of grades K-12 and residents of Wisconsin. There are two funding cycles for this grant. Applications are due by February 1 or September 1 of the calendar year. We require a written summary of the project or activity within two months after completion. This summary will appear in The Badger Birder (the WSO monthly newsletter). This grant was established to honor the bird conservation legacy of Sammuel D. Robbins, Jr. Sam authored Wisconsin Birdlife: Population and Distribution Past and Present and was one of the premier authorities on Wisconsin birds. This grant provides matching funds for Wisconsin DNR waterfowl stamp projects that implement management practices beneficial to shorebirds. Management activities can occur at Wisconsin sites that are known to or have potential to provide migratory stopover habitat for shorebirds. A secondary goal of this fund is to integrate management, research, and educational activities that promote healthy shorebird populations in Wisconsin. Available funding will vary from year to year; please check our website for announcements. Grant money may be used towards labor and equipment costs for conducting drawdowns or other moist soil management practices. For examples, please see the Shorebird Management Guidance document. We request that winners of this award submit a written summary of the project. Wisconsin Department of Natural Resources wildlife managers and technicians that have applied for state waterfowl stamp funds.